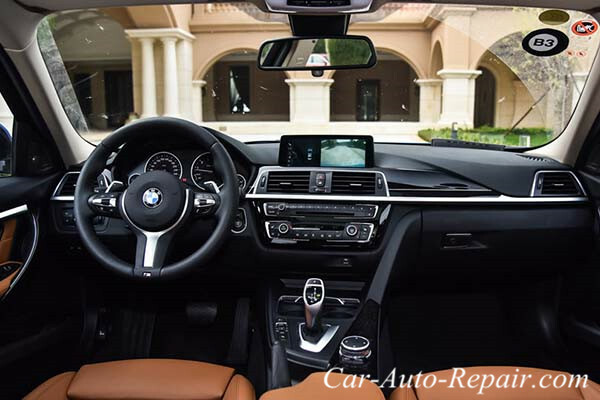 One of my customer told that his BMW 320Li which made 2013 with 2000 kilometers get in central screen trouble.The central screen/iDrive screen is black sometime.So he drived it to our garage for help.And i write this real case to share How to solve BMW 320Li iDrive screen black trouble. Our technicians tested the car and found the trouble symptom exist currently,central screen is still black,and the audio system work correctly.Technicians found the air condition was turn off and cab temperature is high.With the consent of the owner,technicians turn on the air condition.As the cab temperature gradually decreases,the central screen flashed several times,and then central screen display normally.It mean the iDrive screen black trobule is associated with the cab temperature. According the trouble detail description,the trouble symptom(central screen is black) is a self-protection function of central screen CID.There are erlevant rechnical notices about this type of phenomenon. The trouble you find is the same as the bmw 320li in this article,CID keep in black screen at the high temperature around.Memory storage “DTC 0x137F8C6 weakened due to overheating background light”.This malfunctions can not be solved by replacing parts,it is the CID protection function. After the temperature reducing(ie.turn on air condition or vehicle park in shade place),the iDrive screen will work correctly again. Technician explain the reason result in central screen black,and advice customer avoid to park car under sun that sunlight direct exposure to central screen.And turn on the air condition refrigeration function when feel cab temperature is high. Customers feedback that this trouble disappear by following technicians’ advice.